You’re probably familiar with lecithin. Lecithin is a type of fat that naturally occurs in a variety of plants and in all animals. Classed as a phospholipid, lecithin was first commonly isolated from egg yolk before it was later extracted from products such as soy and sunflower seeds. Are there advantages to taking sunflower lecithin instead of soy lecithin? 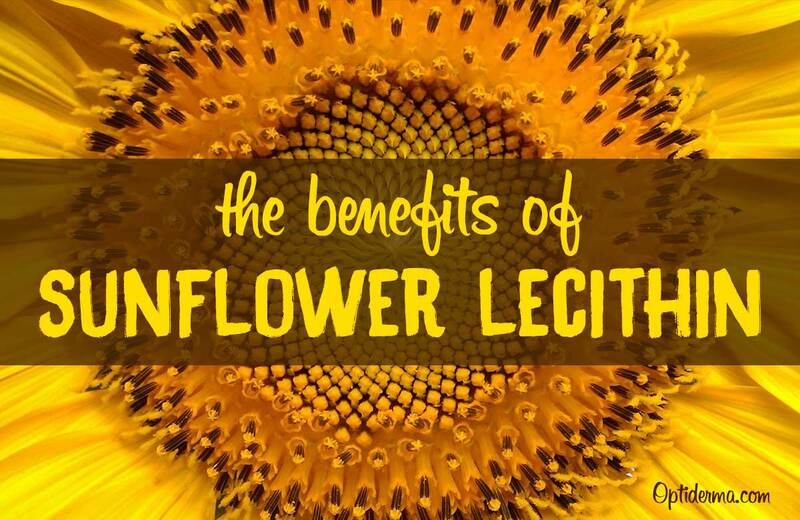 What are the benefits of sunflower lecithin? In this post you’ll learn about its benefits, how it’s produced, and the types of sunflower lecithin supplements you can get. What are the primary functions of lecithin in the body? What are the best sources of lecithin? How is sunflower lecithin produced? What are the health benefits of sunflower lecithin? Where to buy sunflower lecithin? Lecithin can be found in abundance in all the cells of our bodies. It keeps cell membranes permeable enough to allow the passage of sufficient air, water, and nutrients. This ultimately results in cells that are healthier and functioning normally. Lecithin also makes up a large percentage of the nervous system. In fact, it is said to make up about a third of the total brain matter in mammals. Its usefulness largely stems from the fact that it can be used by the body to synthesize choline, a useful neurotransmitter responsible for many of the constant processes in our bodies. It is not only an integral part of the nerve cells; it also forms the protective sheath of fatty substance that envelops the brain and the pockets of fat that surround the nerves. These are known as myelin sheaths. The equal distribution of weight in the body is also attributed to lecithin. However, studies into its purported ability to lower bad cholesterol in the body have been few and not very conclusive according to WebMD (source). The best sources of lecithin in food are egg yolks, soybeans, liver, peanuts, whole grains, whole milk and sunflower seeds. Lecithin is also often used as a food additive in processed goods, like ice creams and salad dressings. 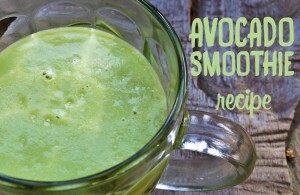 Sunflower lecithin is an emulsifier that is often added to almond milk. Sunflower lecithin is obtained by dehydrating a sunflower seed. The seed is composed of different parts: the oil, gum and other solids. Lecithin comes from the gum. 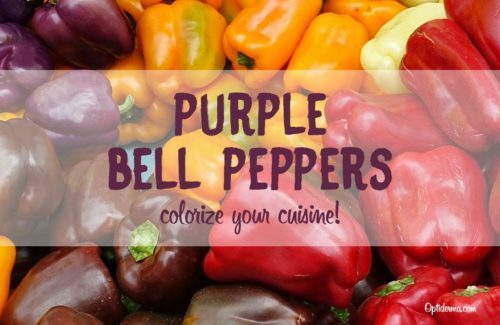 Instead of being processed with a chemical solvent, the seeds are normally processed by “cold-pressing”. Cold pressing refers to oils obtained through pressing seeds. 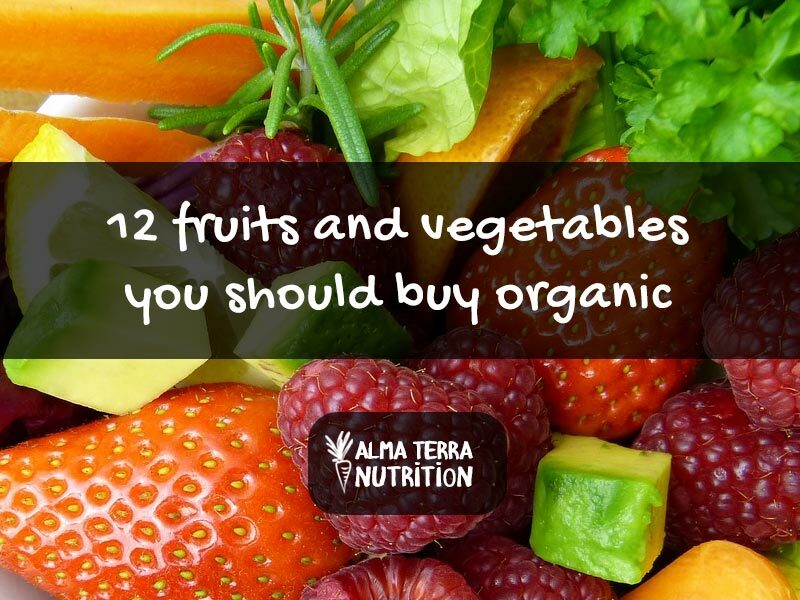 The seeds are not pre-cooked and they retain all their flavour and nutritional value. They don’t contain trans fatty acids. Cold-pressing is a much gentler and more wholesome extraction process. Sunflower lecithin is significantly healthier than lecithin extracted from soy for one main reason: the extraction process. The presence of a purported cancer-causing chemical in the extraction process of soy lecithin called hexane makes it infinitely more toxic than sunflower lecithin, which is obtained by cold pressing. Cold pressing is a much more expensive process, however, and this is why sunflower lecithin is costlier than soy lecithin. Nevertheless, it is by far the more superior lecithin extract. Soy lecithin is extracted from soybean oil, which is almost always genetically modified (GM). Soy allergies are more and more common. The intake of soy can increase estrogen levels. Soy phytoestrogens are known to disrupt endocrine function, may cause infertility, and may promote breast cancer in women. The presence of a cocktail of highly expedient phospholipids within lecithin makes it one of the best superfoods for enhancing brain health and functioning. Although the evidence is still limited, lecithin has shown promising results when used in the treatment of degenerative brain disorders such as Alzheimer’s and Parkinson’s disease (source). 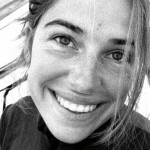 Clinical trials in which patients were given 35mg of sunflower lecithin for a period of time concluded that phosphatidylcholine, phosphatidylinositol, and phosphatidylethanolamine—three phospholipids within lecithin that repair and strengthen the brain cells—could improve cognitive functioning, concentration, memory, and overall brain health. In a sense, lecithin can counteract the effects of aging on the brain (source). The presence of lecithin in the body improves the functioning of the nervous system. Without the myelin sheaths that form around the nerve cells, there would be a much less efficient transmission of nerve impulses from one nerve cell to another. The choline found in lecithin is also useful in the synthesis of an important neurotransmitter known as acetylcholine, a chemical that is necessary for the proper transmission of impulses. Lecithin is primarily an emulsifier, i.e., a substance that prevents the segregation of fats from other fluids. In the body, it is an invaluable aide to the liver especially when it comes to ridding the body of accumulated fats in the bloodstream and in the liver itself. The accumulation of fats in the liver can lead to fatty liver disease (also known as the non-alcoholic fatty liver disease), a condition that can deteriorate further into serious liver diseases such as cirrhosis, type 2 diabetes, and even liver cancer. Sunflower lecithin is therefore crucial to the health of the liver. Sunflower lecithin is also a potent antioxidant that counteracts the effects of aging on the cells. Most of its antioxidant properties can be attributed to phosphatidylcholine, which is highly effective in relieving oxidative stress and therefore preventing significant cell damage. Another important compound in lecithin—linoleic acid—is very useful to the body especially when it comes to the wound-healing process. This is because it expedites the release of inflammatory transmitters known as cytokines to the area of damaged tissue in order to quicken the healing process. Also, sunflower lecithin may be applied topically on open wounds to make the process of healing faster . Note: there’s a lack of strong scientific evidence regarding the effects of essential fatty acids on wound healing. Also, the ratio between linoleic acid (Omega-6) and linolenic acid (Omega-3) should be taken into consideration. Breastfeeding mothers who consistently suffer from plugged ducts can get rid of the blockage by consuming sunflower lecithin supplements. Health experts recommend that lecithin capsules of at least 1200mg should be taken 3 to 4 times a day for about two weeks in order to treat plugged ducts (source). However, you may take it for longer than two weeks if the problem persists. You should consult your doctor in this case. Supplements usually come in granule, liquid and powder form. 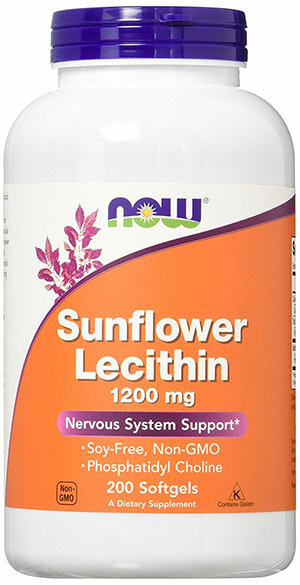 I recommend NOW Sunflower Lecithin. It’s one of the best sunflower lecithin nutritional supplements on the market. Alternatively, you can obtain lecithin in powder form. I recommend the brand Micro Ingredients. The best way to use sunflower lecithin powder is to sprinkle it on cereal, juices and other foods. Taking a lecithin supplement can help improve brain function and promote heart health and liver function. 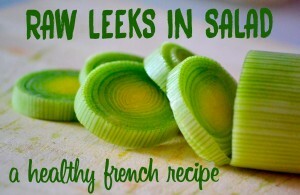 It’s recommended to take about 1,200 mg of lecithin daily. Lecithin has very important functions in the body and it’s important that you get enough of it in your diet. If you are vegan and don’t eat animal-based food, then taking a sunflower lecithin supplement may be the solution to look for. If you decide to take a supplement, opt for sunflower lecithin instead of soy lecithin. Sunflower lecithin is the only kind of lecithin that is chemical-free! 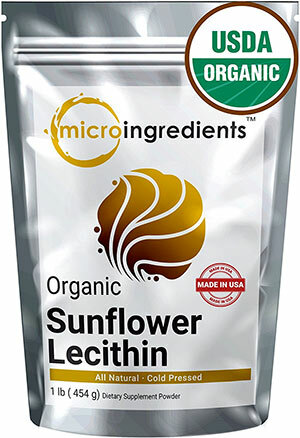 Sunflower lecithin is often organic with no genetic engineering. Also, people don’t usually experience allergic reactions or side effects with sunflower lecithin. What’s your point of view? Do you take a lecithin supplement? Feel free to share your experience in the comments below. 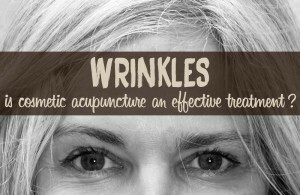 Cosmetic acupuncture: an effective treatment to reduce wrinkles?